This article is about the compound with chemical formula SiH4. 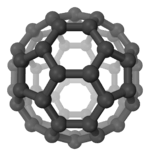 For other tetravalent single bonded silicon compounds with halogen, carbon and/or hydrogen, see Silanes. Silane is an inorganic compound with chemical formula, SiH4, making it a group 14 hydride. It is a colourless, flammable gas with a sharp, repulsive smell, somewhat similar to that of acetic acid. Silane is of practical interest as a precursor to elemental silicon. Silanes refer to many compounds with four substituents on silicon, including an organosilicon compound. Examples include trichlorosilane (SiHCl3), tetramethylsilane (Si(CH3)4), and tetraethoxysilane]] (Si(OC2H5)4). The most commonly used catalysts for this process are metal halides, particularly aluminium chloride. This is referred to as a redistribution reaction, which is a double displacement involving the same central element. It may also be thought of as a disproportionation reaction even though there is no change in the oxidation number for silicon (Si has a nominal oxidation number IV in all three species). However, the utility of the oxidation number concept for a covalent molecule, even a polar covalent molecule, is ambiguous. The silicon atom could be rationalized as having the highest formal oxidation state and partial positive charge in SiCl4 and the lowest formal oxidation state in SiH4 since Cl is far more electronegative than is H.
The silane produced by this route can be thermally decomposed to produce high-purity silicon and hydrogen in a single pass. Still other industrial routes to silane involve reduction of SiF4 with sodium hydride (NaH) or reduction of SiCl4 with lithium aluminum hydride (LiAlH4). In 1857, the German chemists Heinrich Buff and Friedrich Woehler discovered silane among the products formed by the action of hydrochloric acid on aluminum silicide, which they had previously prepared. They called the compound siliciuretted hydrogen. In general, the alkaline-earth metals form silicides with the following stoichiometries: MII2Si, MIISi, and MIISi2. In all cases, these substances react with Brønsted–Lowry acids to produce some type of hydride of silicon that is dependent on the Si anion connectivity in the silicide. The possible products include SiH4 and/or higher molecules in the homologous series SinH2n+2, a polymeric silicon hydride, or a silicic acid. Hence, MIISi with their zigzag chains of Si2 − anions (containing two lone pairs of electrons on each Si anion that can accept protons) yield the polymeric hydride (SiH2)x. Yet another small-scale route for the production of silane is from the action of sodium amalgam on dichlorosilane, SiH2Cl2, to yield monosilane along with some yellow polymerized silicon hydride (SiH)x.
Silane is the silicon analogue of methane. Because of the greater electronegativity of hydrogen in comparison to silicon, this Si–H bond polarity is the opposite of that in the C–H bonds of methane. One consequence of this reversed polarity is the greater tendency of silane to form complexes with transition metals. A second consequence is that silane is pyrophoric — it undergoes spontaneous combustion in air, without the need for external ignition. However, the difficulties in explaining the available (often contradictory) combustion data are ascribed to the fact that silane itself is stable and that the natural formation of larger silanes during production, as well as the sensitivity of combustion to impurities such as moisture and to the catalytic effects of container surfaces causes its pyrophoricity. Above 420 °C, silane decomposes into silicon and hydrogen; it can therefore be used in the chemical vapor deposition of silicon. The Si–H bond strength is around 384 kJ/mol, which is about 20% weaker than the H–H bond in H2. Consequently, compounds containing Si–H bonds are much more reactive than is H2. The strength of the Si–H bond is modestly affected by other substituents: the Si–H bond strengths in SiHF3, SiHCl3, and SiHMe3 are respectively 419, 382, and 398 kJ/mol. 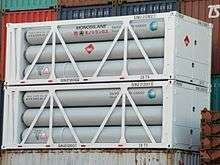 Monosilane gas shipping containers in Japan. Several industrial and medical applications exist for silane and functionalized silanes. For instance, silanes are used as coupling agents to adhere fibers such as glass fibers and carbon fibers to certain polymer matrices, stabilizing the composite material. In other words, silane coats the glass fibers to create better adhesion to the polymer matrix. They can also be used to couple a bio-inert layer on a titanium implant. Other applications include water repellents, masonry protection, control of graffiti, applying polycrystalline silicon layers on silicon wafers when manufacturing semiconductors, and sealants. 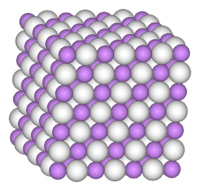 The semiconductor industry used about 300 metric tons per year of silane in the late 1990s. More recently, a growth in low-cost solar photovoltaic module manufacturing has led to substantial consumption of silane for depositing hydrogenated amorphous silicon (a-Si:H) on glass and other substrates like metal and plastic. The PECVD process is relatively inefficient at materials utilization with approximately 85% of the silane being wasted. To reduce that waste and the ecological footprint of a-Si:H-based solar cells further several recycling efforts have been developed. Silane is also used in supersonic combustion ramjets to initiate combustion in the compressed air stream. As it can burn using carbon dioxide as an oxidizer it is a candidate fuel for engines operating on Mars. Silane and similar compounds containing Si—H bonds are used as reducing agents in organic and organometallic chemistry. Silane methacrylates are used in dentistry as part of tooth-colored, composite filling material. Silane methacrylates act as a coupling agent between the hard, silicate-based, ceramic filler and the organic, resin-based oligomer matrix. A number of fatal industrial accidents produced by combustion and detonation of leaked silane in air have been reported. If a leaking stream of silane is obstructed or confined, energy release due to combustion is more concentrated leading to increasing reaction speed and burning velocity – up to gas phase detonation and potentially severe damages. Silane may autoignite at under 54 °C (130 °F). For lean mixtures a two-stage reaction process has been proposed, which consists of a silane consumption process and a hydrogen oxidation process. The heat of SiO2 (s) condensation increases the burning velocity due to thermal feedback. Diluted silane mixtures with inert gases such as nitrogen or argon are even more likely to ignite when leaked into open air, compared to pure silane: even a 1% mixture of silane in pure nitrogen easily ignites when exposed to air. In Japan, in order to reduce the danger of silane for amorphous silicon solar cell manufacturing, several companies began to dilute silane with hydrogen gas. This resulted in a symbiotic benefit of making more stable solar photovoltaic cells as it reduced the Staebler-Wronski Effect. 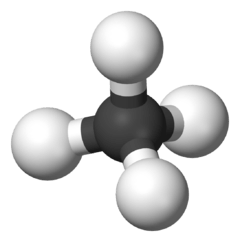 Unlike methane, silane is fairly toxic: the lethal concentration in air for rats (LC50) is 0.96% (9,600 ppm) over a 4-hour exposure. In addition, contact with eyes may form silicic acid with resultant irritation. In regards to occupational exposure of silane to workers, the US National Institute for Occupational Safety and Health has set a recommended exposure limit of 5 ppm (7 mg/m3) over an eight-hour time-weighted average. 1 2 3 4 5 "NIOSH Pocket Guide to Chemical Hazards #0556". National Institute for Occupational Safety and Health (NIOSH). ↑ CFC Startec properties of Silane. C-f-c.com. Retrieved on 2013-03-06. ↑ Shriver and Atkins. Inorganic Chemistry (5th Edition). W. H. Freeman and Company, New York, 2010, p. 358. ↑ Qwika – Heinrich Buff. Wikipedia.qwika.com. Retrieved on 2013-03-06. ↑ Mellor, J. W. "A Comprehensive Treatise on Inorganic and Theoretical Chemistry," Vol VI, Longmans, Green and Co. (1947), p. 216. ↑ Making Silicon from Sand, by Theodore Gray. Originally published in Popular Science magazine. ↑ Mellor, J. W. "A Comprehensive Treatise on Inorganic and Theoretical Chemistry, Vol. VI" Longmans, Green and Co. (1947) pp. 970–971. ↑ Emeléus, H. J. & Stewart, K. (1935). "The oxidation of the silicon hydrides". Journal of the Chemical Society: 1182–1189. doi:10.1039/JR9350001182. ↑ Koda, S. (1992). "Kinetic Aspects of Oxidation and Combustion of Silane and Related Compounds". Progress in Energy and Combustion Science. 18 (6): 513–528. doi:10.1016/0360-1285(92)90037-2. 1 2 Timms, P. L. (1999). "The chemistry of volatile waste from silicon wafer processing". Journal of the Chemical Society – Dalton Transactions (6): 815–822. doi:10.1039/a806743k. ↑ M. A. Brook "Silicon in Organic, Organometallic, and Polymer Chemistry" 2000, J. Wiley, New York. ISBN 0-471-19658-4. ↑ Graffiti protection systems. Protectosil.com. Retrieved on 2013-03-06. ↑ Briend P, Alban B, Chevrel H, Jahan D. American Air, Liquide Inc. (2009) "Method for Recycling Silane (SiH4)". US20110011129, EP2252550A2. ↑ Kreiger, M.A. ; Shonnard, D.R. ; Pearce, J.M. (2013). "Life cycle analysis of silane recycling in amorphous silicon-based solar photovoltaic manufacturing". Resources, Conservation and Recycling. 70: 44. doi:10.1016/j.resconrec.2012.10.002. ↑ Zubrin, Robert (1996). The Case for Mars. NY: Touchstone. p. 203. ISBN 0-684-83550-9. ↑ Reductions of organic compounds using silanes. Organic-chemistry.org. Retrieved on 2013-03-06. ↑ Chen, J. R. (2002). "Characteristics of fire and explosion in semiconductor fabrication processes". Process Safety Progress. 21 (1): 19–25. doi:10.1002/prs.680210106. ↑ Chen, J. R.; Tsai, H. Y.; Chen, S. K.; Pan, H. R.; Hu, S. C.; Shen, C. C.; Kuan, C. M.; Lee, Y. C. & Wu, C. C. (2006). "Analysis of a silane explosion in a photovoltaic fabrication plant". Process Safety Progress. 25 (3): 237–244. doi:10.1002/prs.10136. ↑ Chang, Y. Y.; Peng, D. J.; Wu, H. C.; Tsaur, C. C.; Shen, C. C.; Tsai, H. Y. & Chen, J. R. (2007). "Revisiting of a silane explosion in a photovoltaic fabrication plant". Process Safety Progress. 26 (2): 155–158. doi:10.1002/prs.10194. ↑ V.I Babushok (1998). "Numerical Study of Low and High Temperature Silane Combustion". The Combustion Institute. 27th Symposium: 2431–2439. ↑ Kondo, S.; Tokuhashi, K.; Nagai, H.; Iwasaka, M. & Kaise, M. (1995). "Spontaneous Ignition Limits of Silane and Phosphine". Combustion and Flame. 101 (1–2): 170–174. doi:10.1016/0010-2180(94)00175-R.
↑ "Silicon tetrahydride". NIOSH Pocket Guide to Chemical Hazards. Centers for Disease Control and Prevention. April 4, 2011. Retrieved November 18, 2013.